We’ll buy back your unused currency at the same rate you bought it for. That way, if the exchange rate moves against you, you won't lose out. All you need to do is take out our Buy Back Guarantee (£4.99) when you buy your travel money, and make at least one transaction with that currency. When you redeem your balance at the end of your trip (and within the given time frame), we will buy it back at the exact same exchange rate that you bought it for. Our Buy Back Guarantee gives you the confidence to load all your travel money onto your card in one go, so you don’t have to worry about exchange rate losses or topping up your card whilst travelling. Just tick the box and add it onto your order at the time of purchasing your currency online. Load currency with confidence without risk of exchange losses on unused balance. Reduce uncertainty and costs by fixing the buy and sell exchange rates. What is Buy Back Guarantee? If you take out our Buy Back Guarantee when loading your card then we will guarantee to buy back any leftover currency at the same rate that you originally purchased it for. Guaranteed. Why would it be good for me? If you do not know the exact amount of currency you will need for your travel then our Buy Back Guarantee allows you to load your card with confidence. If you have any currency left over after your trip then you can redeem it back at the same rate of exchange you bought it for. You should not apply the Buy Back Guarantee to Sterling or to the initial load value of £10. You can take out the Buy Back Guarantee each time you load currency to your card. When you’re loading your currency card you will see an option to purchase the Buy Back Guarantee for that particular transaction. Just tick the box and the guarantee will be applied up to the value of that currency transaction. After your travels, you will have the option to apply the Buy Back Guarantee via the Redeem Balance function. How can I make the most of Buy Back Guarantee? The greater the balance you are likely to redeem, the greater the benefit of the Buy Back Guarantee. If you are uncertain of the amount of currency that you might need for your travel then the Buy Back Guarantee allows you to load your card with confidence. That way you will avoid having to reload your Card during your trip and also protect yourself from any exchange rate losses on unused currency. Please note, the Buy Back Guarantee only applies to the currency that was originally purchased with the Buy Back Guarantee. How do I get my leftover travel money back? When you log into your online account, chose Redeem Balance from the menu and you’ll be able to see the balance for each currency on your card and where the Buy Back Guarantee is applicable. Just click on the Buy Back section and we will use the exchange rate of the original purchase to credit the balance back to the payment card used for that purchase. Please note, credits can take up to four days to arrive back at the funding card. Will the card I used to buy my travel money be credited back? Yes, we’ll automatically credit the same card you used when you bought currency. Can I get back part of my balance? When you log onto your account online, the Redeem Balance function allows you to redeem part or all of your available balance. The Buy Back Guarantee can only be applied once to the relevant currency; i.e you cannot use the Buy Back Guarantee for a partial redemption now and then use it again later. What if I don’t go on holiday and just wish to get my refund? The Buy Back Guarantee is designed to help holiday makers and travellers budget their spending money, by knowing they can redeem any unused currency at the same rate they bought it for. It’s not designed for currency trading, and we therefore stipulate that you have to make an overseas transaction or ATM withdrawal in order to validate the Buy Back Guarantee. If you’ve loaded your card, but haven’t made an overseas transaction, you still have the option to redeem your balance for a fee of £1.50. What if the exchange rate moves in my favour? Can I still use the redeem balance function, and not the Buy Back Guarantee? Yes, you can choose whether to apply the Buy Back Guarantee when you use the Redeem Balance function. Please note, if you don’t use the Buy Back Guarantee then it cannot be transferred to other currencies and it will also expire within 30 days of first use overseas or after a maximum of 90 days, whichever comes first. How long can I use my Buy Back Guarantee for? You can use the Buy Back Guarantee for up to 30 days after your first overseas transaction or ATM withdrawal, or 90 days from the date you bought the currency Buy Back Guarantee, whichever comes first. On expiry of the Buy Back Guarantee option, the Buy Back button will automatically disappear and the daily exchange rate will be used to calculate the redemption amount. Can I retrospectively get the Buy Back Guarantee on my older currencies? No. You can only get the Buy Back Guarantee for currencies that you are buying now. Does Buy Back Guarantee work across all 14 currencies? Yes, you can choose to use the Buy Back Guarantee across all of the currencies we support. Can I get it on some currencies but not others if I do them all in one transaction? You can only buy one currency at a time from Caxton. If I buy currency on the app, can I get Buy Back Guarantee afterwards online? The Buy Back Guarantee is only available through www.caxtonfx.com and is not currently available through the mobile App. To get the greatest protection, we recommend that you apply the Buy Back Guarantee to your maximum envisaged holiday spend. Can I change my mind after I’ve bought it? No, once you’ve bought the Buy Back Guarantee, we are unable to refund it. Is there a minimum or maximum amount that is covered by the guarantee? The Buy Back Guarantee can be applied to the currency equivalent of the minimum load amount of £300 up to the maximum single load amount of £6,500. You should not apply the Buy Back Guarantee to Sterling loads or to the minimum initial load value of £10. To get the greatest benefit from the Buy Back Guarantee, we recommend that you load the maximum amount of currency that you think you might need for your travel. What if my Caxton card expires during the guarantee period? Everything will be fine, your Caxton account will still be active and, should you wish to redeem using the Buy Back Guarantee, the card you used to originally load your Caxton card will be automatically credited. We automatically send you a replacement card a month before your card expires and, once you activate your new card, your old card becomes redundant. I plan to visit USA and Spain. Do I have to take out a Buy Back Guarantee for each currency? Yes, Caxton requires each currency to be bought separately so you will need to purchase the Buy Back Guarantee for each currency you buy. The Buy Back Guarantee is valid for 30 days from your first spend, or 90 days from the date you bought it, whichever comes first. Please note, to avoid the Buy Back Guarantee being used for currency speculation, we require that you have used your card abroad before the Buy Back Guarantee is becomes valid. Can I add further amounts to be covered by the guarantee? No, we are limiting the Buy Back Guarantee to one currency at a time, so you can purchase the Buy Back Guarantee once for Euros, and once for other currencies. We recommend you load your travel money in one load and get the Buy Back Guarantee for all of your travel money. Can I get a Buy Back Guarantee for currency that is already on the Card? No, you can’t retrospectively apply the Buy Back Guarantee to currency you have already bought. What rate do I get with the Buy Back Guarantee? The Buy Back Guarantee captures and stores in our system the exchange rate at for which you bought your currency. This rate is then applied when you use the Redeem Balance function against that currency. Can I extend the guarantee? The Buy Back Guarantee is valid for up to 30 days after your first overseas transaction, or ATM withdrawal, or 90 days from the date you bought the currency Buy Back Guarantee, whichever comes first. Redemptions made after this will be charged at the rate of exchange applicable at the time plus a £1.50 redemption fee. Buy Back Guarantee is available to Caxton customers through caxtonfx.com only. You must make an overseas transaction in the guaranteed currency before you will be able to redeem the product. You must redeem the product within 90 days of purchase and within 30 days of your first overseas transaction in the guaranteed currency. The Buy Back Guarantee can be applied only once and only for the currency against which it was purchased. The total value of protected currency (purchased by your Buy Back Guarantee) will start to reduce upon your first spend overseas, even if you have pre existing funds on your account. The amount of redeemed currency cannot be more than the original load amount against which the Buy Back Guarantee purchased. Buy Back Guarantee is non-transferable between currencies. 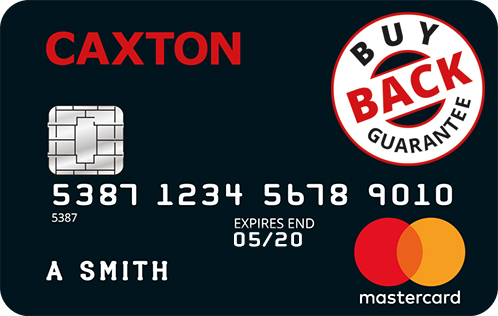 Buy Back Guarantee applies only to MasterCard prepaid cards loaded through caxtonfx.com. Caxton reserves the right to change the terms of or withdraw the Buy Back Guarantee at any time and with immediate effect. Any existing Buy Back Guarantees will be honoured. Buy Back Guarantee must not be used for speculative purposes. Full Caxton terms & conditions apply to the use of all services.